UPDATE 7/6/16 @ 7:55 p.m. ET: see editor’s note below. A week has passed since my post about corruption in the Texas Alcoholic Beverage Commission, and the emails keep coming. Some of them I have to keep confidential, but the author of the one below said I could post it. I can’t vouch for its contents, but I can tell you that it is consistent with the other emails that I have received. Shortly thereafter Steen saw to it that Sherry Cook was hired to fill a fairly high level position at TABC headquarters where, with Steen’s help she eventually got to the position she now occupies. 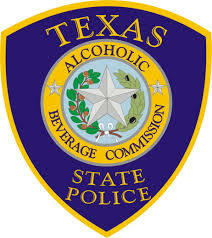 TABC has always been something of a problem child state agency which is a shame because with good qualified leadership it had the potential to be a top tier premier state law enforcement agency. It never fulfilled its original mandate which was primarily to investigate and prevent organized crime in the alcoholic beverage industry. That covers pretty much all serious criminal activity having a nexus to locations or entities which are licensed by the state to sell alcoholic beverages. In today’s world that would include such things as human trafficking, organized prostitution and drug trafficking behind the facade of businesses licensed to sell alcoholic beverages, money laundering via subterfuge business ownership and state level tax evasion. In other words TABC agents should have been the state’s vice and organized crime cops. Occasionally some agents usually in larger districts would form informal “working groups” with officers from other agencies. These efforts were almost always successful but at some point HQ would always get wind of our activities and shortly thereafter we would be redirected. If I am not mistaken TABC is up for sunset review in 2017. I think they are going to have a very difficult time. I remember Alan Steen concurring with and agreeing to implement virtually every recommendation made during TABC’s last date with the sunset commission. Some of those recommendations sounded good but were just not practical and should have been contested. Some of the others, however, were well thought out, and, had they been implemented would likely have secured the future of TABC by putting it firmly back into the criminal law enforcement business. It really just comes down to leadership. Poor leaders beget poor leaders and TABC has never had a system that objectively and consistently identified and selected the best candidates for leadership positions. They always made it possible to tilt the table and make the ball roll whichever way a politically appointed administrator wanted it to and nobody seemed to care. Well I digressed a bit. Getting back on topic; this current scandal began with Alan Steen. This was old news to many of us old timers but there may still be some viable criminal cases to prosecute.